Easily filling gaps with no adhesive or netting, Johns Manville Spider® Plus blow-in insulation uses interlocking fiber technology to fill all gaps and voids quickly. Johns Manville Spider® Plus Formaldehyde-free™ blow-in fiberglass insulation uses interlocking fiber technology to fill all gaps and voids quickly with no adhesive or netting for a faster installation. Spider Plus provides complete coverage, with no shrinking or settling, resulting in superior thermal performance and sound control. 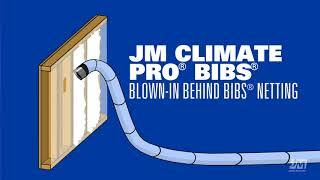 Designed for use in wood- and metal-frame construction, engineered- wood construction and manufactured homes. Thermally Efficient: Effective resistance to heat transfer, with R-values up to R-25 in a 6'' cavity.